The winter holiday everyone dreams about! 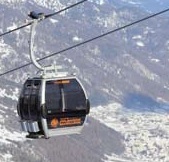 Easily reachable from Trento with the Dolomiti Express train, Folgarida and Marilleva offer an excellent quality-price relation, plus the opportunity of exploring a wonderful skiarea connected to Madonna di Campiglio and Pinzolo. If you love mountains and need to relax and breathe fresh air while immersed in wonderful landscapes, Folgarida and world famous Val di Sole Valley are your ideal destination for Holidays in Trentino. Folgarida is located in the Adamello Brenta Natural Park Area. Learn everything you need to know about it, there is a wide range of activities to discover during your holidays, follow our operators and hotels to know more! You will be able to book Hotels in Folgarida and Val di Sole Valley not only through our experts available at the call center but also through our new portal. Folgarida.it has been completely renewed. Check all the news and sign in and publish your holidays pictures! 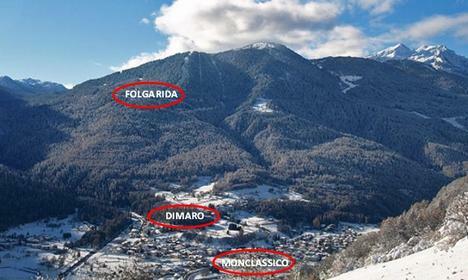 Discover all the Hotels, Residences and Apartments in Folgarida. Due to its own geological characteristics and to the breathtaking sceneries they offer, the Brenta Dolomites - Dolomiti di Brenta have been included in the World Heritage Site List by the UNESCO. Your holidays on the Dolomites will disclose you the stunning nature of the mountains! Professionals of Hospitality and Booking: ask for advice to our call center, avaiable for any information and for organizing your holidays. 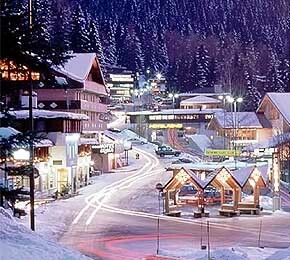 A highly specialised Tour Operator will guarantee you a perfect holiday: ADTravel "The Alpine Dream".